According to CBRE Group’s 2015 Canadian Market Outlook, the commercial real estate market is poised for rapid expansion and potential transformation, driven by demographic, economic, and technological shifts. Real estate owners must adapt quickly and effectively to the changing landscape, which may leave some commercial landlords worried about their business resilience. Business impacts related to changes in the economic, market and natural environment ultimately lead to an insurance impact. Commercial landlords can minimize exposure and ensure peace of mind by putting in place a risk-management framework which includes the right insurance coverage and active management of their properties. The Canadian retail market has been going through some upheaval with Target’s recent departure and Sears Canada’s evolving plans. Coupled with growth in other areas of retail, commercial landlords may be left with either vacant real estate or changing tenants. This retail industry uncertainty is compounded by other market concerns such as the drop in oil prices, interest rates, and extreme weather patterns. As this business environment continues to evolve, real estate owners will be faced with more and more cases of tenant change, which needs to be carefully managed and monitored. Oftentimes, a building is originally designed for a specific purpose and when that tenant leaves, real estate owners need to make sure the building is fit for the new tenant. For example, a building’s sprinkler system is designed for a certain type of occupancy reflecting operational hazards including the flammability and combustibility of contents. If a new tenant has a different type of fire risk, sprinkler modifications may be required. Letting an insurance broker know about the change is imperative as they can work with the insurance company to assess the adequacy of the sprinkler system. 1. Be prepared for vacancies with proper coverage, maintenance and security/alarm systems. 2. Plan appropriately for tenant change by ensuring the unit is fit for the new tenant’s purpose. 3. Be Climate Smart by minimizing the exposures and risks associated with extreme weather such as snow load, frozen pipes and icy pathways. 4. Get the right insurance coverage, especially when changes occur. 5. Be an active real estate owner by maintaining properties and understanding tenants’ activities and needs. Changing demographics such as more millennials in the workforce, and new sustainability and accessibility requirements are creating demand for new office, retail and residential space, leaving older buildings at risk of increased vacancy. When faced with vacancies, real estate owners may choose to cut back on maintenance and building investment – and this is when things can really go wrong. For example, while cutting back on heating may seem like a great way to reduce expenses, a cold snap can cause burst pipes and related water issues. Also, real estate owners must keep their premises properly secured even though they may be tempted to cut back on alarm system monitoring. If set up, a sprinkler alarm system can even alert landlords to burst pipes, which if left unattended can cause serious problems. Although vacant, owners still need to be watching over the building and balancing an appropriate level of investment. Another important consideration for commercial real estate owners is to really understand their insurance coverage. Most policies have a certain time period that allow for vacancies, and only cover beyond that if pre-arranged. This situation again highlights the necessity of keeping in touch with an insurance broker who can ensure vacancy coverage is specifically pre-arranged for the required length of time. Canada-wide, water-related damages are on the rise due to extreme weather. Commercial landlords are impacted by this trend, coupled with a shortage of contractor availability to do replacement work. To minimize risk, it comes back to investing in and maintaining premises. Ensuring pipes are properly insulated can reduce claims related to frozen pipes. Other concerns are snow load, especially in older buildings where the roof may not be as strong as in newer buildings. Cold weather invariably leads to increased incidences of slipping and falling. Not clearing ice can lead to being sued if a visitor falls. To mitigate the impact of water-related damages, commercial landlords need to be ‘Climate Smart’ by weather-proofing their buildings, making their property safe, keeping adequate records of property maintenance (including snow and ice removal) and buying the right insurance. Visit RSA’s Climate Smart page to find out more on how you can mitigate the risk of weather-related damage. While the commercial real estate market is prime for expansion, risks remain which make it critical for commercial landlords to proactively put a risk-management program in place to minimize exposures. Real estate owners need to have a good understanding of what’s going on in their premises. They may think they understand their tenants’ business, but if they simply rent a unit and walk away, they may not be aware if something illegal is happening – such as grow-ops which are becoming more common. Watching over their premise and understanding the types of tenants renting their units can go a long way in protecting assets. It’s key to work with an insurance broker. They can help real estate owners understand risks, and work with them to ensure the appropriate maintenance program is in place to withstand various circumstances. Commercial landlords with a smaller portfolio of buildings in particular may not see some of these issues, but brokers and insurers are seeing them all the time and know what can happen. While insurance policies don’t always automatically cover all exposures, a broker can also help customize policies to meet specific commercial needs. It’s important to have regular conversations with a broker and ask for resources such as maintenance checklists and help to understand outsourced contracts such as snow removal. Thinking ahead, talking to a broker and being an active real estate owner can help withstand a rapidly evolving business and real estate market. 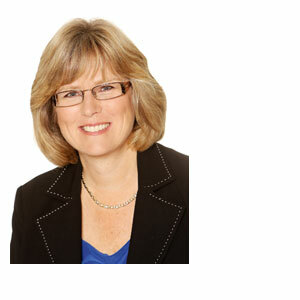 About the author: Julie Pingree is Vice President, SME & Operations for RSA Canada and is responsible for the strategic development and implementation of their national SME strategy. Since rejoining RSA in 2013, Julie has made substantial progress in improving their operating model and returning their SME business to profitability.